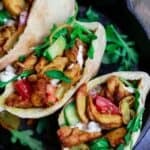 Easy, healthy, homemade chicken shawarma recipe! Serve it in pita pockets with tahini sauce and this lazy salad, and call it dinner! Be sure to check out the video tutorial! One of my absolute favorite Middle Eastern street foods is chicken shawarma. Traditional chicken shawarma is basically well-marinated chicken, layered on a vertical rotisserie or spit, slow-roasted to perfection, then thinly shaved to serve. And I’m telling you, it is the epitome of seductive Middle Eastern flavors! For my easy homemade chicken shawarma version, you do not need a special rotisserie. But the secret is in the shawarma spice mixture, including warm spices including cumin, coriander, turmeric and paprika! 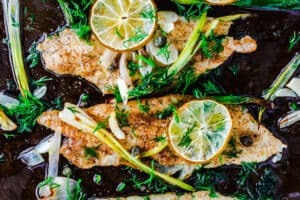 If you don’t have time to wait, you can cut or even skip the marinating time in favor of a quick dinner. Still delicious! How to Serve Chicken Shawarma? 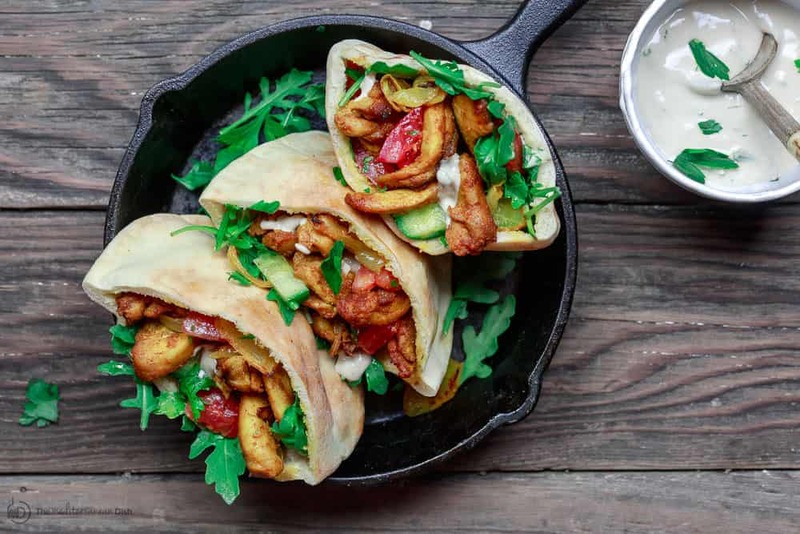 The true Middle Eastern way to serve chicken shawarma is in pita pockets or wraps with heaps of veggies and a good deal of sauce. I like the idea of loaded pita pockets. And for the veggies, peppery arugula and my simple 3-ingredient Mediterranean salad. As with beef shawarama, you can serve chicken shawarma with a generous drizzle of tahini sauce. 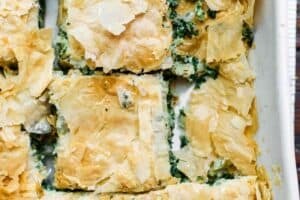 It’s also common to use a white yogurt-based sauce like Greek Tzatziki. 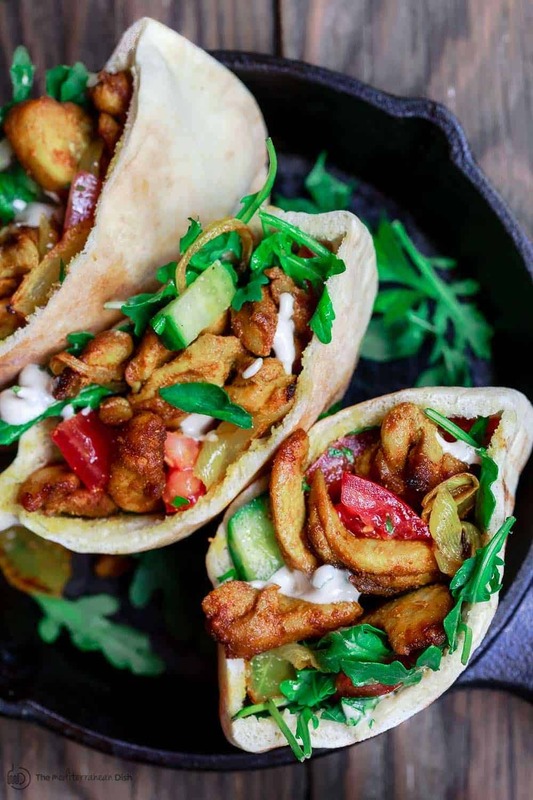 This chicken shawarma recipe can serve 4 to 6 people. But if you’re looking for a fun way to serve a larger crowd, think of doing shawarma sliders! 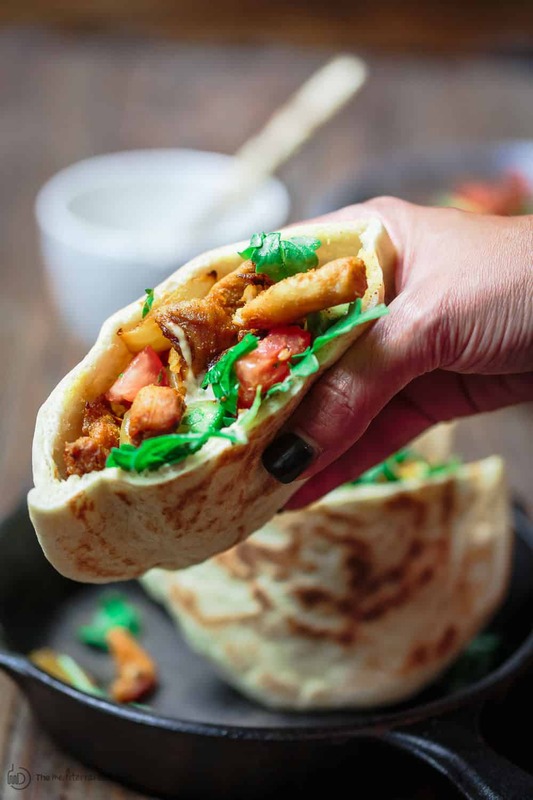 You don’t need a special rotisserie to make this easy homemade chicken shawarma recipe! Chicken pieces, tossed in warm Middle Eastern spices, then baked until perfectly tender. Serve it in pita pockets with favorite salads and sauce! *If you have time, marinate the chicken for 3 hours or overnight. Otherwise, you can skip the marinating time as indicated in the instructions below. In a small bowl, mix the cumin, turmeric, coriander, garlic powder, sweet paprika and cloves. Set aside the shawarma spice mix for now. 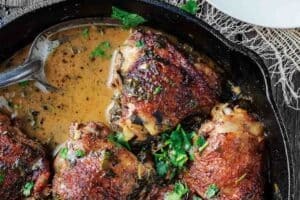 Pat the chicken thighs dry and season with salt on both sides, then thinly slice into small bite-sized pieces. 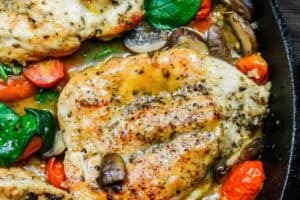 When ready, preheat the oven to 425 degrees F. Take the chicken out of the fridge and let it sit in room temperature for a few minutes. Spread the marinated chicken with the onions in one layer on a large lightly-oiled baking sheet pan. Roast for 30 minutes in the 425 degrees F heated-oven. For a more browned, crispier chicken, move the pan to the top rack and broil very briefly (watch carefully). Remove from the oven. While the chicken is roasting, prepare the pita pockets. Make tahini sauce according to this recipe or Tztaziki sauce according to this recipe. Make 3-ingredient Mediterranean salad according to this recipe. Set aside. To serve, open pita pockets up. Spread a little tahini sauce or Tzatziki sauce, add chicken shawarma, arugula, Mediterranean salad and pickles or olives, if you like. Serve immediately! 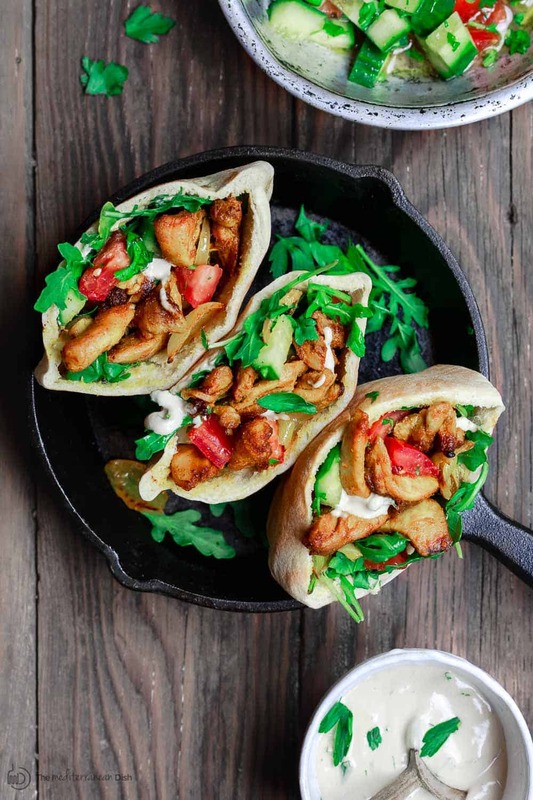 To serve chicken shawarma as an appetizer to a larger crowd, you can assemble the chicken shawarma into small slider buns with sauce and baby arugula. SAVE! 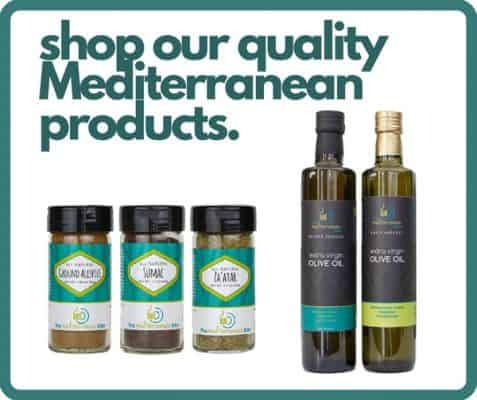 Try our Ultimate Mediterranean Spice Bundle or create your own 6-pack from our all-natural and organic spices! Try our Greek Extra Virgin Olive Oil Bundle! Ah-mazing. Used whole grain pita pockets and tzatkiki sauce. I prepped everything in the morning to give it LOTS of time for melding and marrying of flavors. The chicken mix baked while we were out of the house, so the house smelled WONDERFUL when we got home…and it was ready to serve! 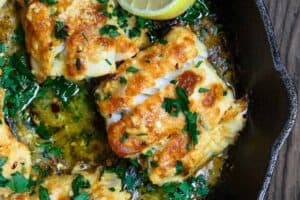 My 4 and 10 year old loved it, and my husband gave rave reviews and said it tasted spot on to what he remembered when he was in the Middle East. THANK YOU for a winner! I eat whit carlic sauce and tomato onion saus , really delicious ! Thanks so much for sharing, Rick! so glad to hear it. So glad to hear it, Lindsay!